On Dec.21 Catholicos-Patriarch of All Georgia Ilia II received the head of the EU Monitoring Mission Toivo Klaar and members of the mission. Part of the meeting was closed to journalists. The head of the mission asked the patriarch’s opinion on what can be done to improve the situation of the residents of the villages located along the line of occupation, so that they were able to cross freely the so-called border and visit temples and the graves of relatives. Toivo Klaar said that he meets with Abkhazians and Ossetians and has a feeling that, unlike Georgians, they differently perceive and experience the consequences of conflicts. The head of the observation mission believes that the church can be a place where people can overcome common pain. At the meeting, the head of the EU mission mentioned good relations of the Catholicos-Patriarch of All Georgia Ilia II and the head of the Russian Orthodox Church. 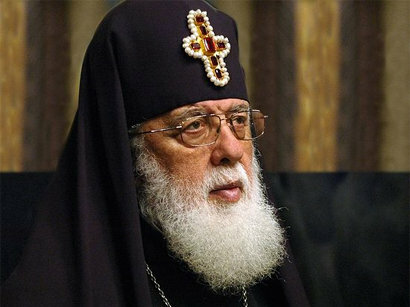 In turn, the Catholicos-Patriarch recalled the meeting with the Russian Patriarch and said that asked him what to do to unite Georgia. Russian Patriarch replied that he had no ready recipe. According to the patriarch, decisive steps should be taken to unite Georgia. After the meeting, the head of the EU mission told journalists that he is grateful to Georgian Patriarch for taking time to meet with him.Toivo Klaar said that the meeting was very interesting and constructive, as new ideas were expressed that will help to improve the work of the observation mission.